The signature program Nourish the Brain, walks you through the role of sugars, stress, fats, hormones and inflammation in our daily lives and teaches you how you can finally free yourself from unhealthy habits. Learn what triggers your choices and how to stop the cycle of unhealthy patterns now. 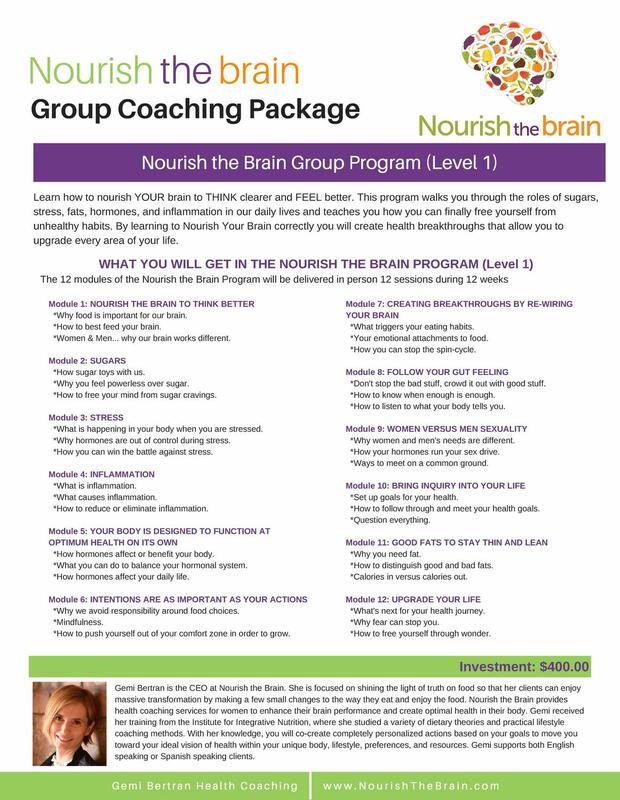 By learning to Nourish Your Brain correctly you will create health breakthroughs that allow you to upgrade every area of your life. Groups meet for 12 weeks in the series. Individuals work together to connect and discover the true path to healthy living.